Choose size from baby to adult. 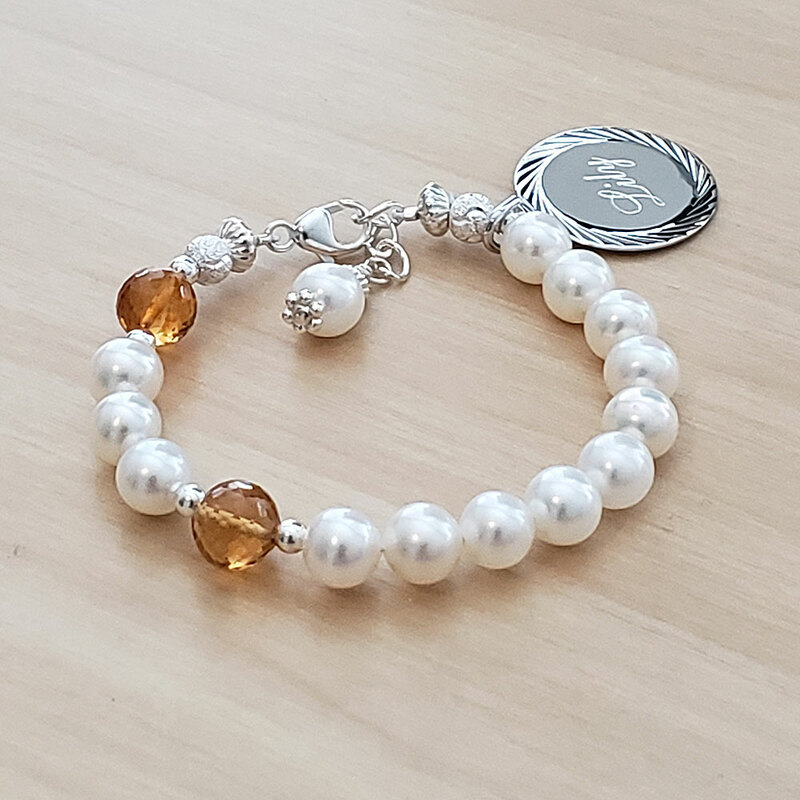 Baby bracelet shown is 4.5". Shown with two optional gemstones (small sizes vary 3.2mm - 4.8mm, large sizes vary 5.2mm - 6.5mm). Select a gemstone below to add two birthstone gemstones to bracelet. Step 7. Select Gemstone for Two Our Father Beads. Gemstones used for the two Our Father beads are 5.5mm - 7mm grade AAA round multi-faceted genuine gemstones. Gemstones may contain some slight internal inclusions. Gemstones are faceted by hand and may contain slight facet imperfections. Click to view enlarged gemstone birthstone chart.